Congratulations to us! 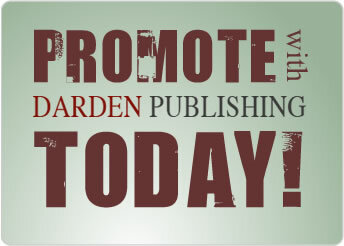 Publishing for 25 years! As a life-long Hampton Roads resident, I continue to marvel at the infinite variety of businesses, schools, cultural and recreational facilities and programs that are available with new facilities emerging daily. Our cities and counties are geographically so close that almost any event, business, community center or school can be quickly reached throughout Hampton Roads. It is because of all this that we publish three of Hampton Roads’ premier magazines, Coastal Virginia Magazine, Hampton Roads Bravo Magazine and Healthcare In Hampton Roads. The Coastal Virginia region is comprised of the cities of Chesapeake, Hampton, Newport News, Norfolk, Portsmouth, Smithfield/Isle of Wight, Suffolk, Virginia Beach, Williamsburg, and Virginia’s Eastern Shore. By the time you get to the end of it, you’ll realize what the locals know all too well — Hampton Roads is the place to be for business and family. 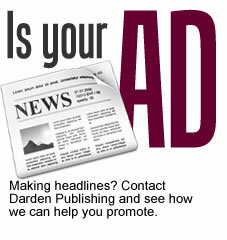 Thinking about placing an ad with us? Target: Target marketing to Hampton Roads local residents, visitors, and business owners. Quality: Custom Glossy publications with annual ongoing readership and public display visibility. ROI: Returns on your investment with comparable low cost print and digital media. Click here to review a video about America’s First Region – Hampton Roads, and to watch more videos about “Why I Love Hampton Roads”. 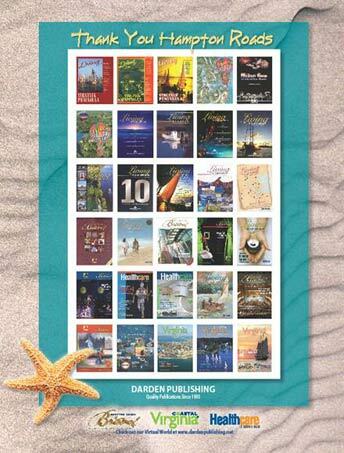 Copyright 2019 © Darden Publishing. All Rights Reserved.